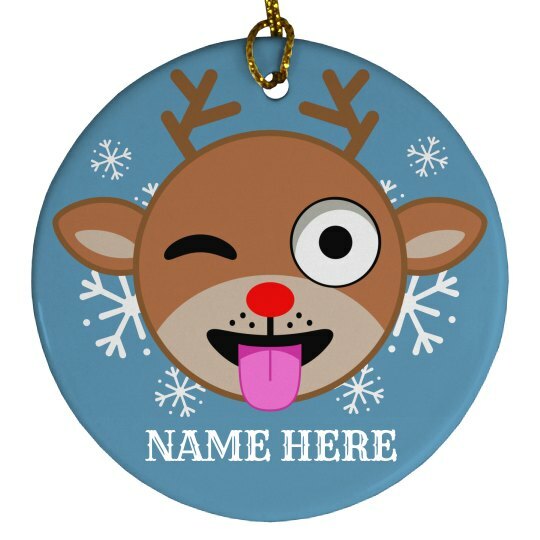 Customize this fun ornament for your Christmas tree! This goes perfectly with the snowman and santa hat emoji ornaments. Add the names of your friends or family members and wrap them up to put under the Christmas tree.